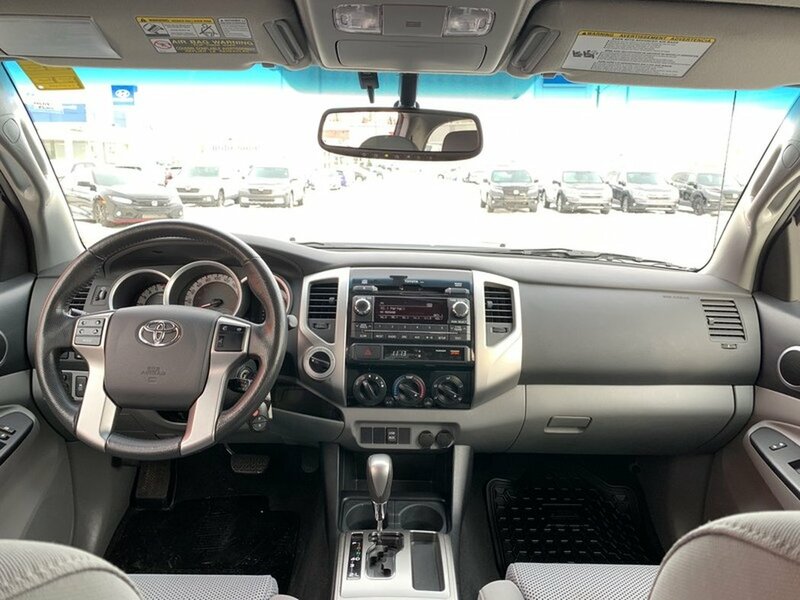 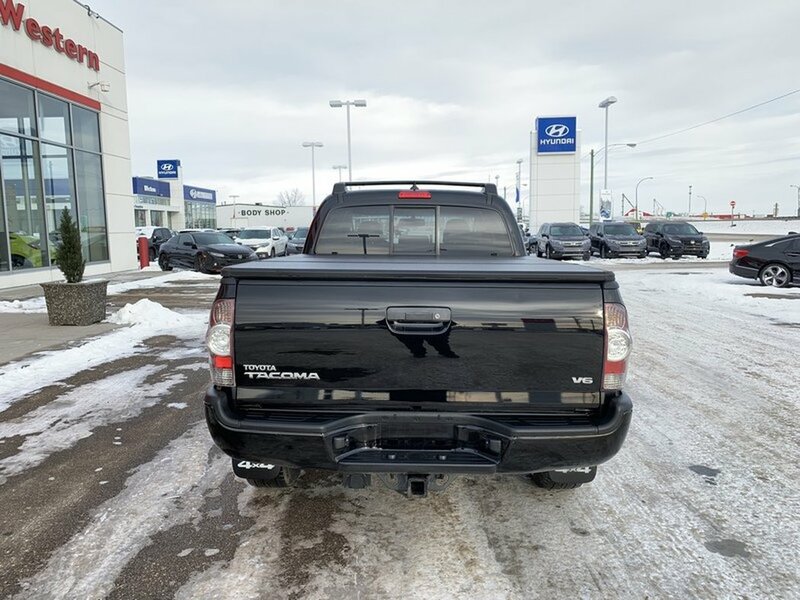 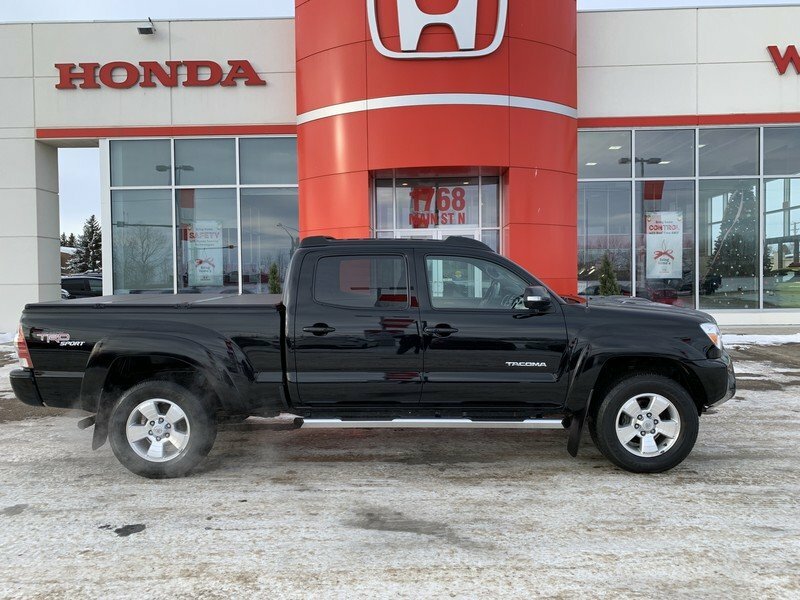 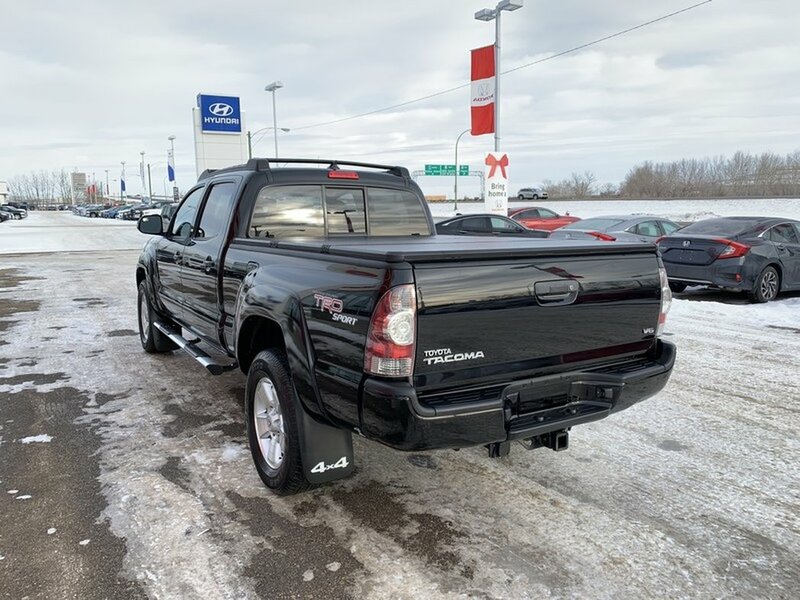 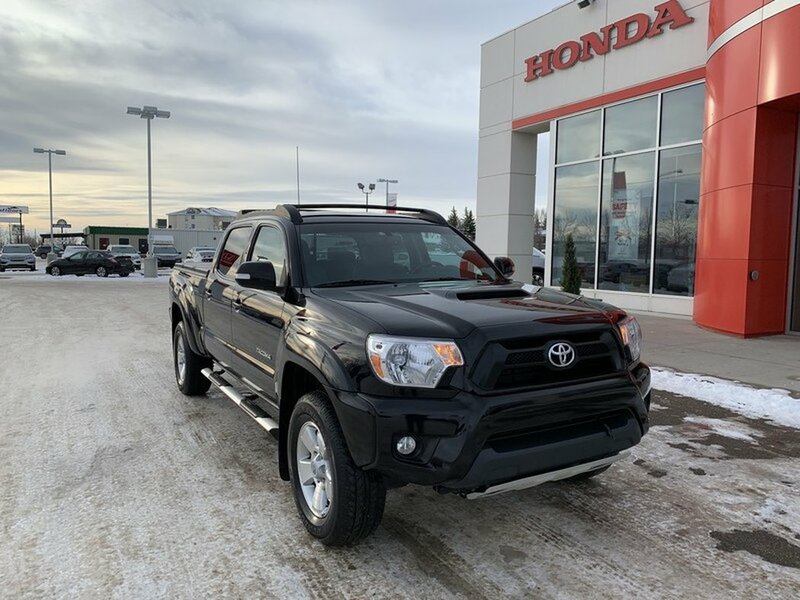 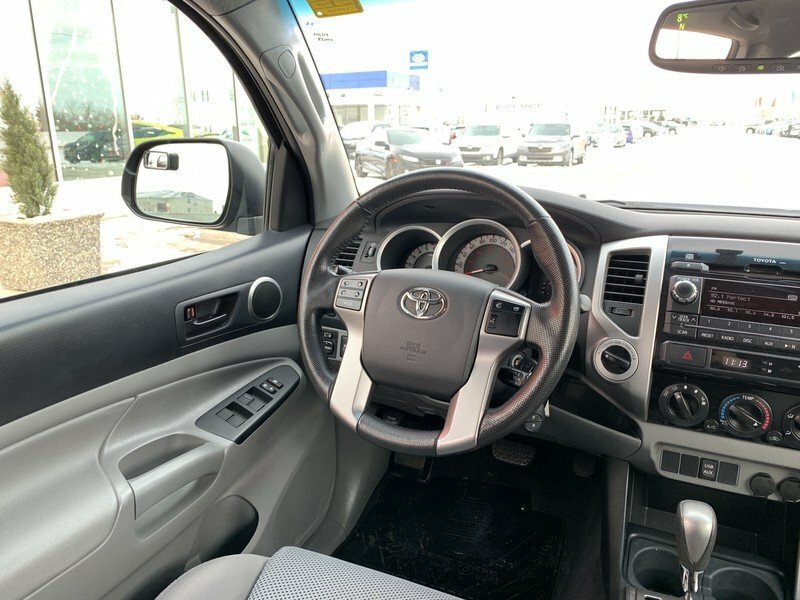 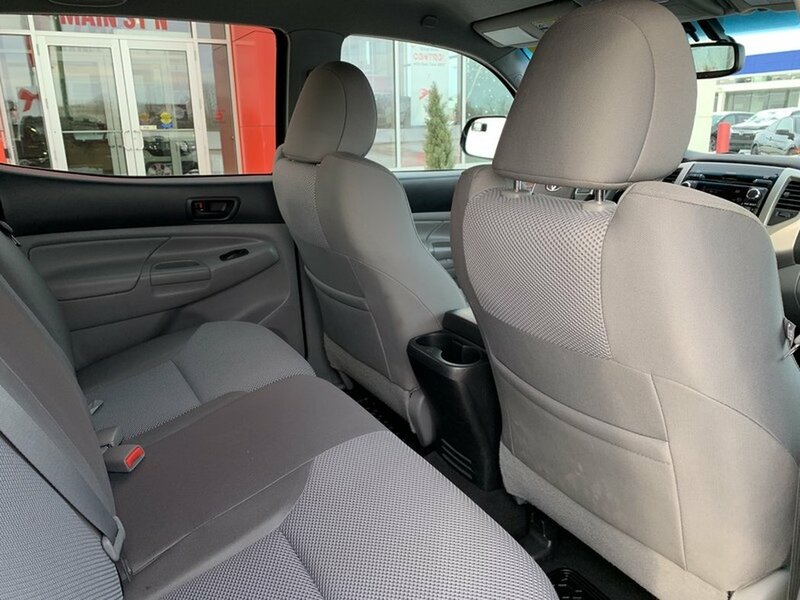 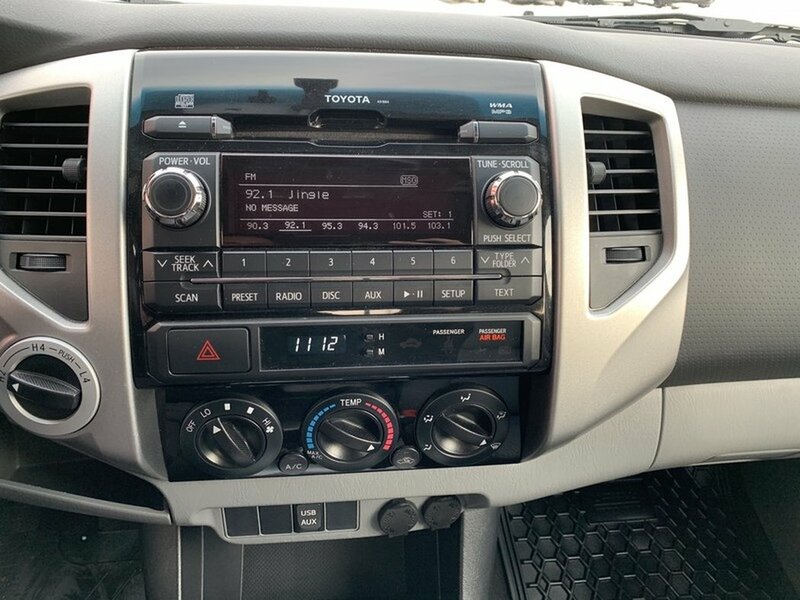 This 2012 Toyota Tacoma TRD Sport is the perfect truck for someone who doesn’t want anything too big but at the same time wants something capable. 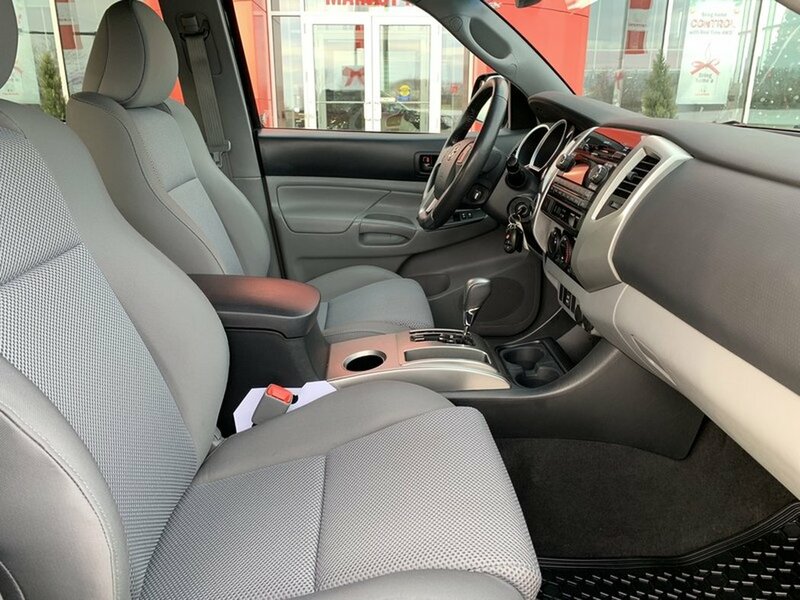 The “Black” exterior is in excellent condition paired with a grey cloth interior. 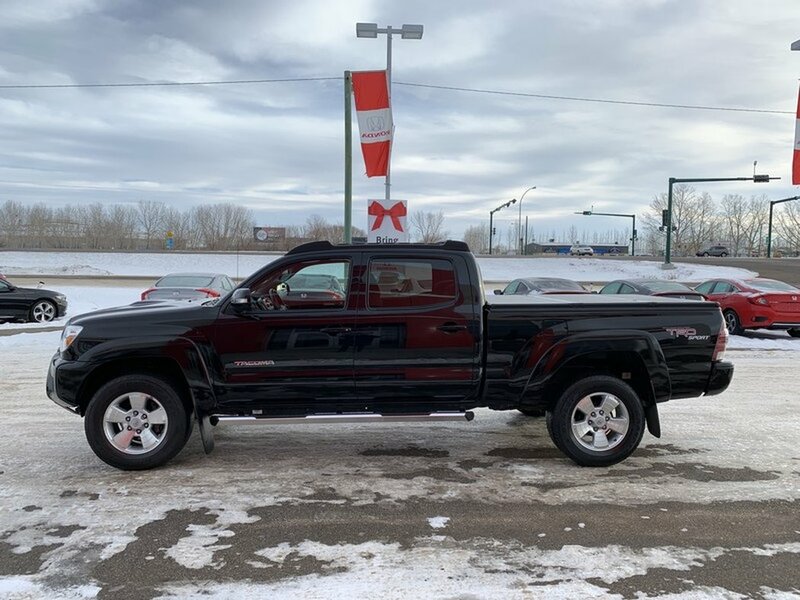 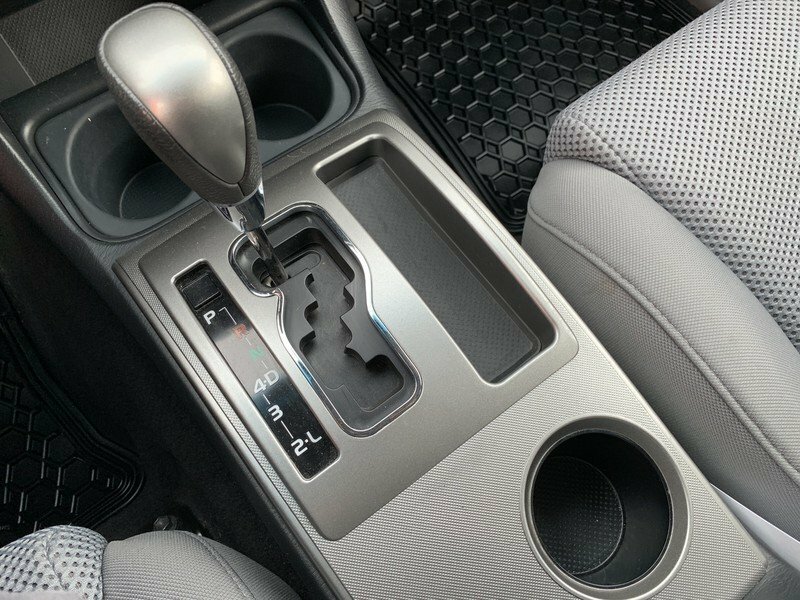 The 4.0L V6 engine has plenty of power to conquer anything you throw at it while also getting respectable fuel economy. 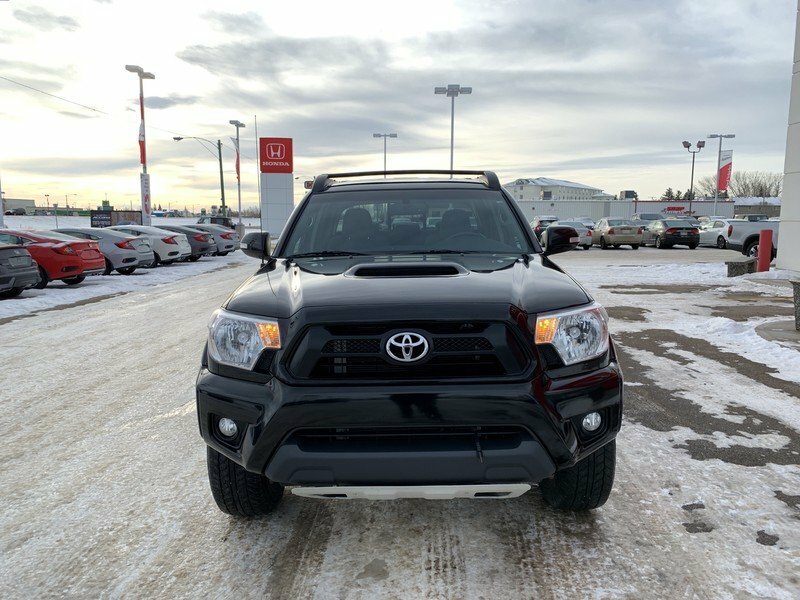 TRD Sport packages adds many cool features like a Back up Camera, 17 alloy wheels, sport tuned suspension, Bilstein Sport Shocks, Hood Scoop, Graphics and Technologies like Downhill terrain management, traction control with auto LSD and other cool and useful features. 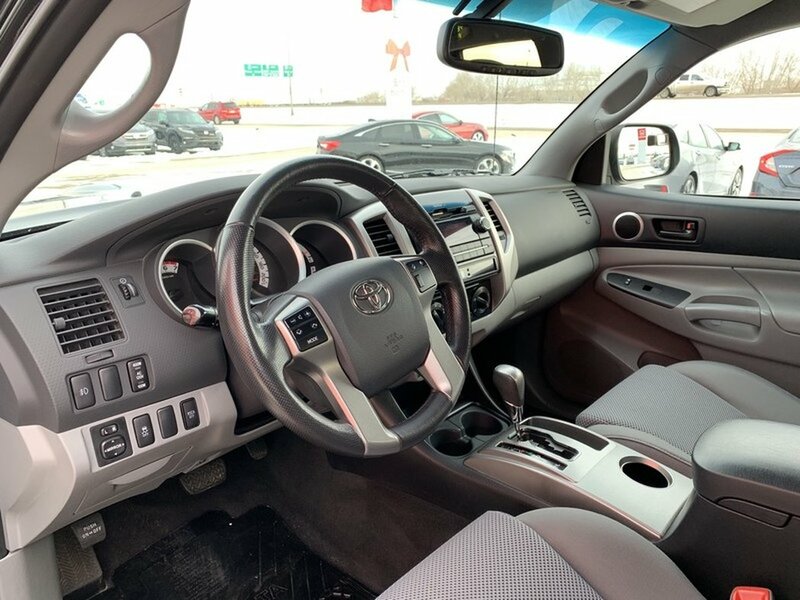 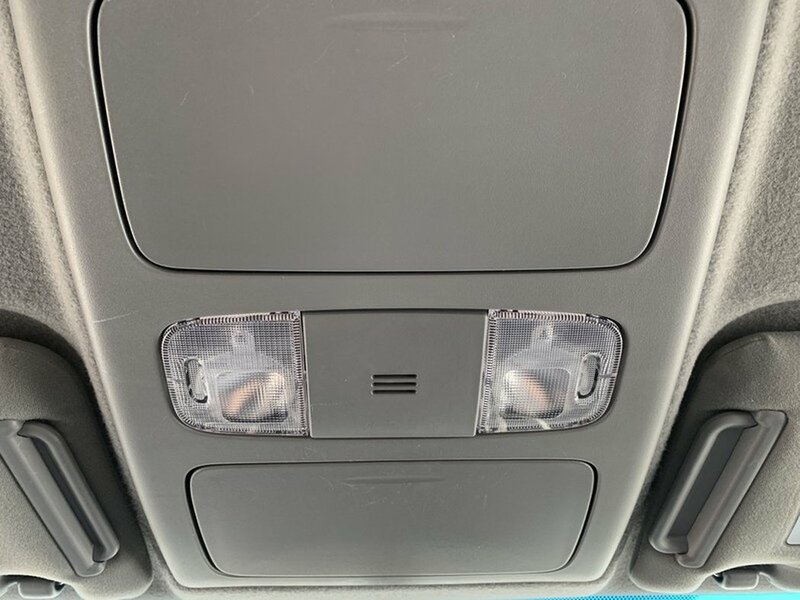 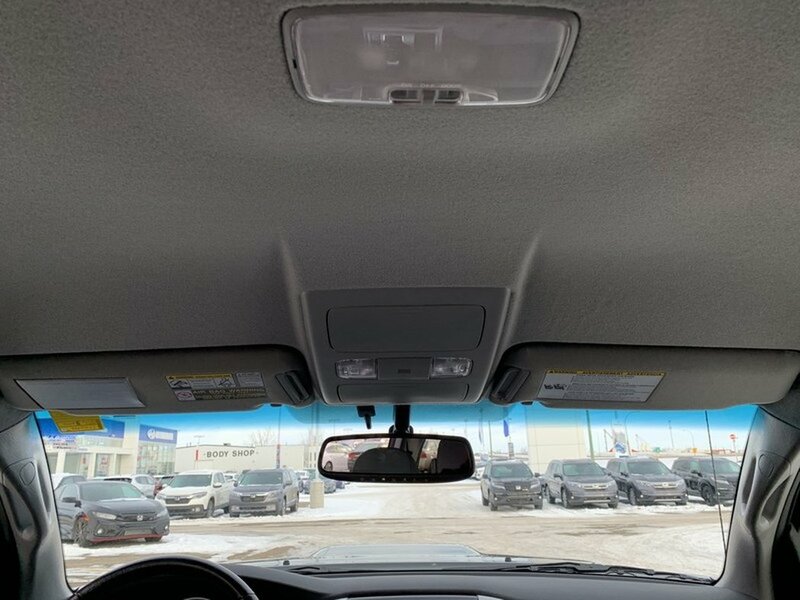 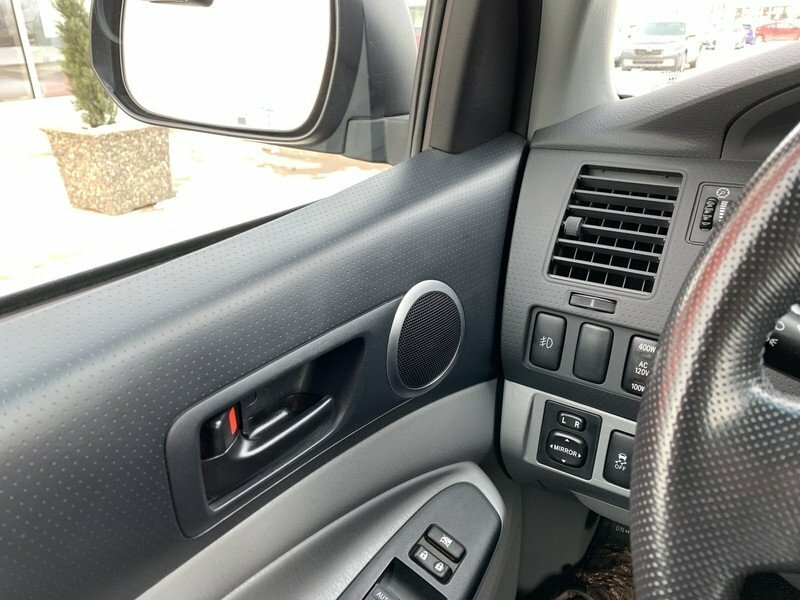 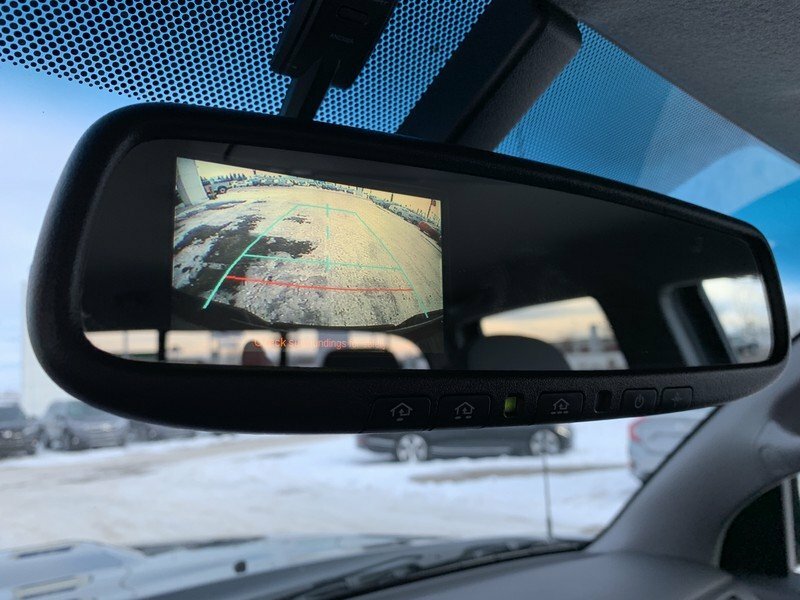 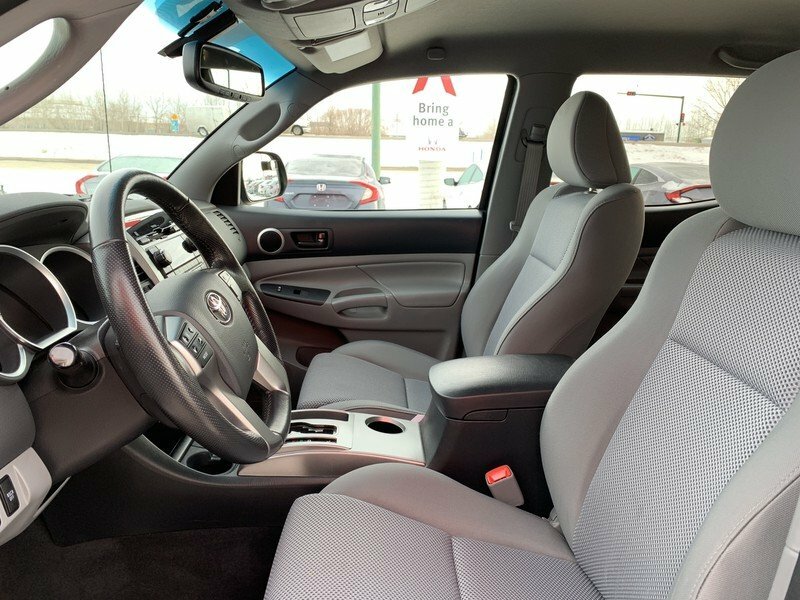 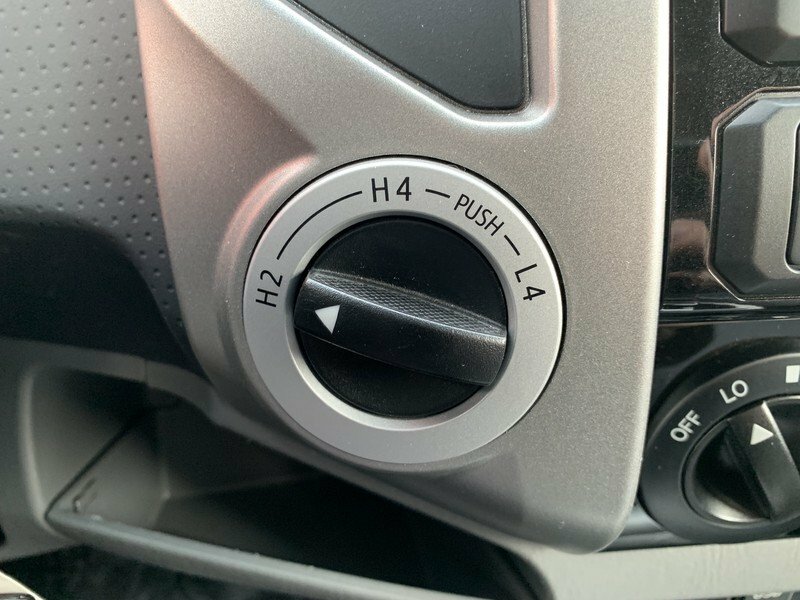 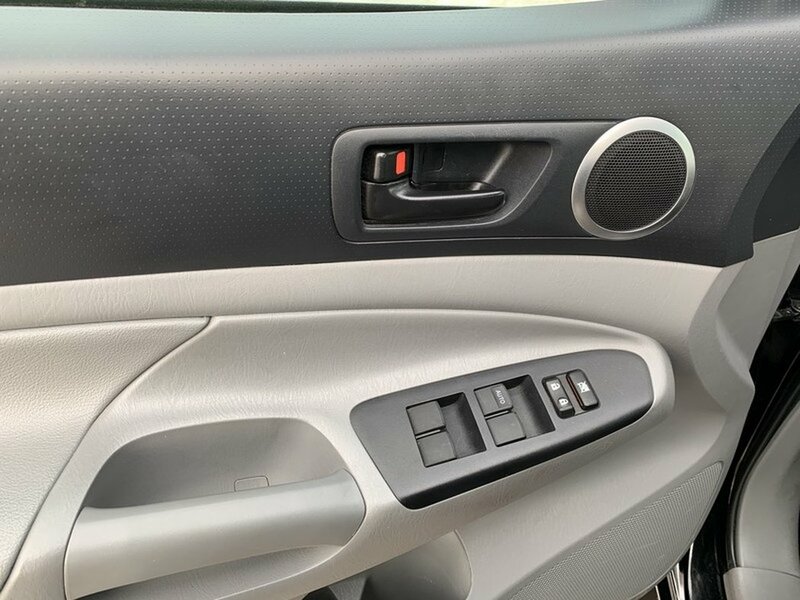 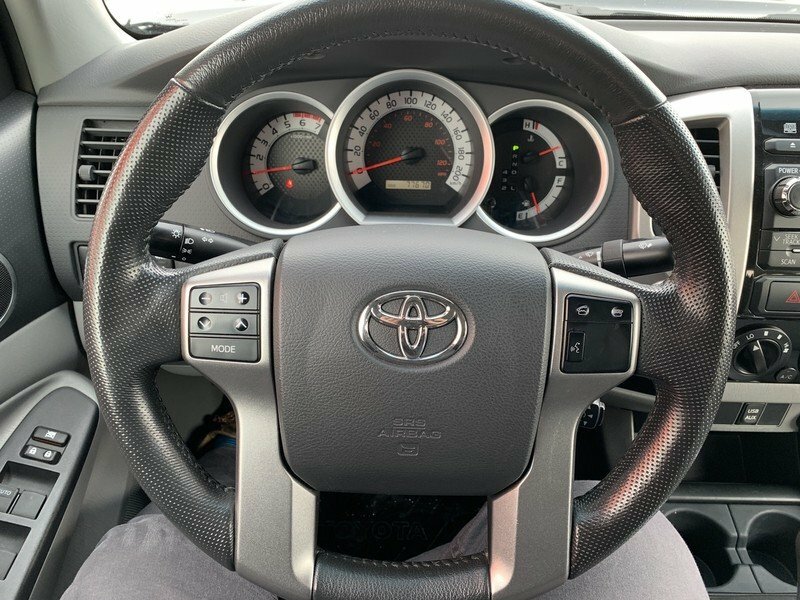 4x4 models like this add standard USB port, upgraded stereo display, Bluetooth connectivity, XM satellite radio, steering wheel-mounted audio controls, revised centre stack with piano black accents, cruise control and keyless entry. 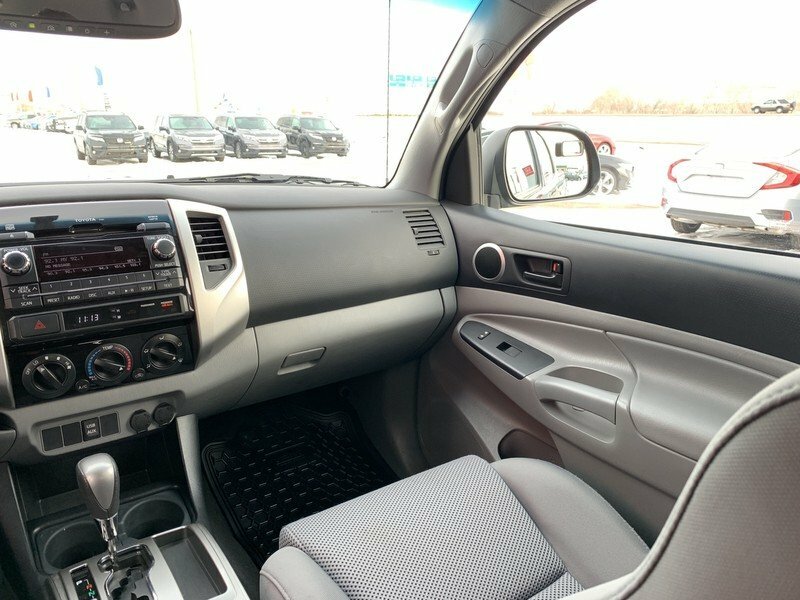 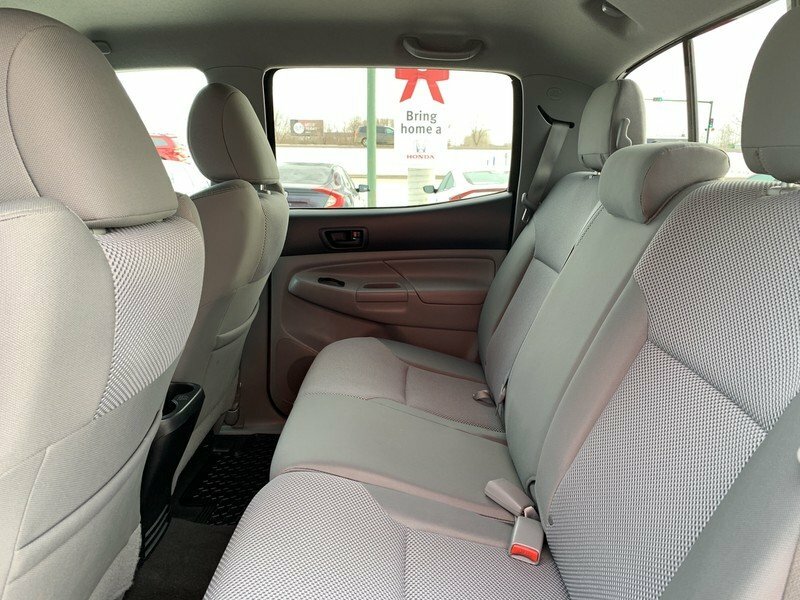 The Double Cab models add driver’s lumbar support, rear seat heater ducts, folding front passenger seat, and 60/40 fold-down rear seat. 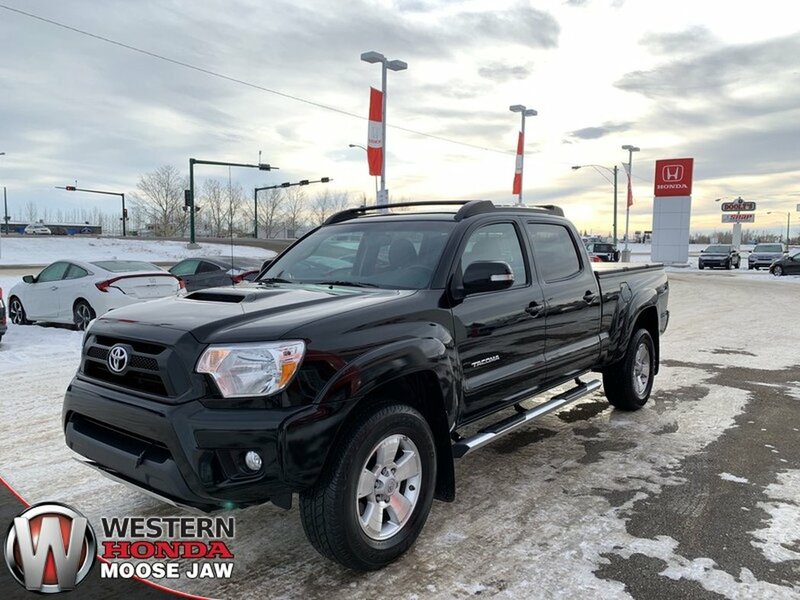 This Tacoma is also equipped with the TRD Sport package which adds a number of the same features as the Off-Road Package. 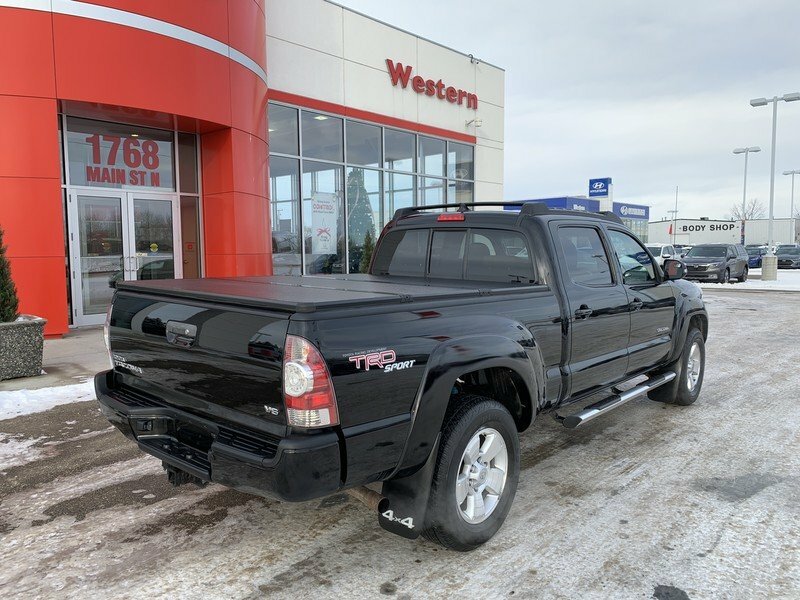 The off-road tuned suspension is replaced by a sport tuned suspension with 17-inch alloy wheels and Bilstein sport shocks. 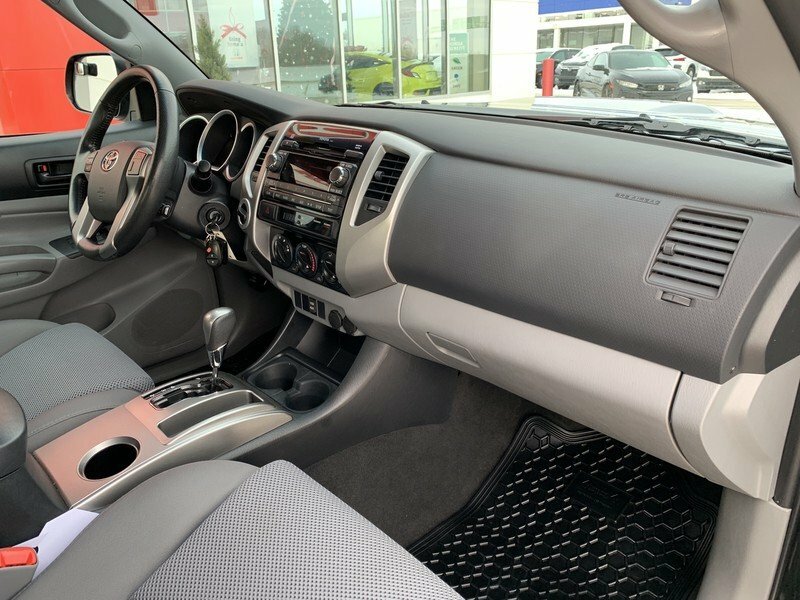 The grille surround, bumpers, door handles and mirrors are color matched to the truck, which comes with a hood scoop. 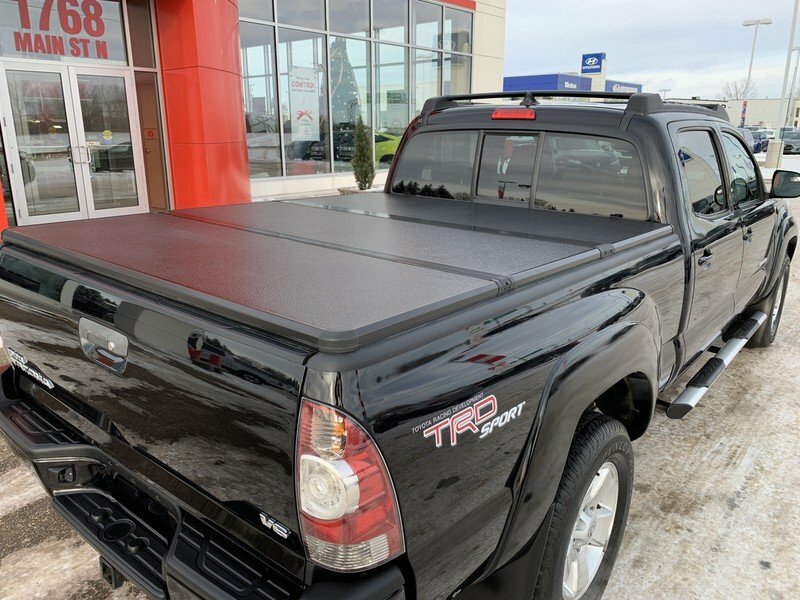 TRD Sport graphics on the truck's bedsides identify the package.